Opening next week (November 15) for its 40th anniversary outing, Québec’s biggest annual books event has a faithful public following and a growing professional program for publishers and their issues. 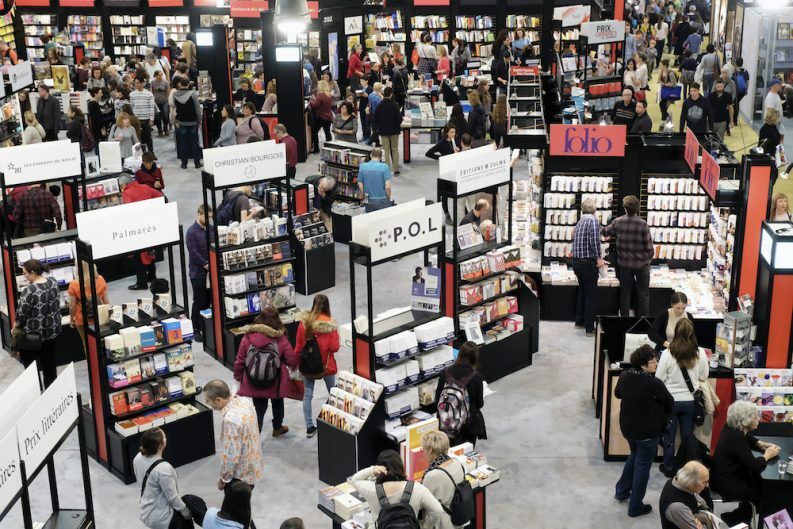 Canada’s Salon du livre de Montréal (SLM) runs from November 15 to 20 this year and is the 40th iteration of the centerpiece of literary culture and business each year in Québec. Primarily consumer-facing, the event has a strong professional program for industry professionals on its Friday (November 17), and information about that can be found here. Mostly a public affair, it has recently pioneered new events for industry professionals. 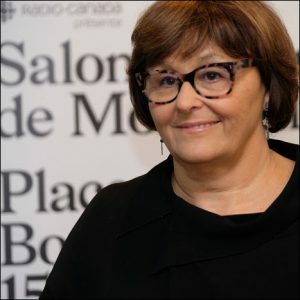 Publishing Perspectives has had a chance to talk with the salon’s chair of the board, Gilda Routy, who is also development manager with Gallimard Ltée and commercial director w ith Bayard Canada. We opened our exchange by asking about the significance of the event’s longevity and high regard. Publishing Perspectives: What has created and sustained the success of the Salon du livre de Montréal for four decades? Gilda Routy: The success of the SLM is based on six days of nonstop activities, including round-tables and book signings with our more-than 2,000 authors. Since its inception, the salon has also had a pedagogical mission by giving free access to 18,000 students from grade and high schools, including bilingual schools. And, whether it’s a good year or a bad year, we welcome more than 100,000 readers to the show. PP: What’s new for the book industry this year? GR: In the past few years, we’ve created a professional day, dedicating Friday to programming conferences that follow the trends of the book industry as much from the perspective of readers as of publishers. PP: Many of us feel that we read differently with smartphones and tablets so much a part of our lives. GR: Yes, it is no longer a fleeting impression. Reading competes directly with television and the Internet in a never-ending cultural and entertainment fireball that’s being hurled at us. 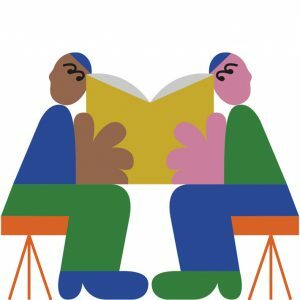 How can reading maintain its place? Not only is the reader distracted but the incessant flux of information has a direct impact on an attention span. In addition, the national publishers association, ANEL, is bringing back its very successful fellowship programme, called Rendez-Vous, for a fifth year, as it welcomes publishers from around the world. What’s more, the Canada Council for the Arts (CCA) is producing its translation rights fair for a second year, an event in which English- and French-language publishers can buy and sell translation rights. The CCA has recognized what a unique opportunity it is to have nearly every French-language publisher in the country present at a single event and is capitalizing on that. 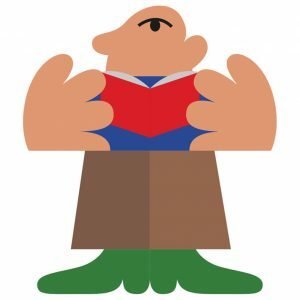 PP: And what’s new at the book fair this year? GR: A new embodiment of innovation and experimentation, the SLM is very proud to introduce Le Carrefour [The Crossroads], bringing together a cultural diversity space, a Canada-Montréal History Pavilion, and La Maison des libraires run by the independent booksellers association, the ALQ. This new concept is expected to be one of the most dynamic and experimental parts of the book fair, featuring a show on the legacy of the legendary [novelist and playwright] Réjean Ducharme, who passed away earlier this year. PP: In your first round-table, you’re questioning the place of book fairs themselves. Could this be called a question of the salon’s midlife crisis? GR: Yes, it’s very healthy to ask ourselves these questions in an age of virtual everything. I’ve invited book industry professionals to shed some light on the trends in marketing books and promoting reading habits through book fairs. Professionals such as Isabella Ferretti from 66thand2nd, Guido Indij from La marca in Argentina, Edmund Jacoby from Verlaghaus Jacoby & Stuart, Catherine Mitchell from Pajama Press and, of course, our own Julie Brosseau, who is the president of our national network of French-language book fairs in Québec. Obviously, for me, the answer is yes, we need book fairs. And my answer stems from the fact that there are very few other places in the world where you can create such a strong and direct emotional connection between an individual and a book. I think Sophie Bienvenu, our guest of honor, said it best. The SLM has all the ingredients of being an unpleasant torturous experience with its bright lights, loud noises, and overcrowding, but instead, it’s a magical experience, a unique celebration of passionate writers and readers that binds people together. PP: Have you been able to spot any trends among your public audience? GR: We’re surprised by how young our audience still is despite the aging population. Saturday and Sunday is a baby-stroller bonanza and that’s why we’ve created a baby-stroller rest stop to help young families who may be overwhelmed by their first SLM experience. We’ve also noticed another clear trend, in that kids who come with schools during the week also tend to come back with their families on the weekend. There’s a ripple effect in which students are encouraging their parents to make the trip. What’s more, Friday has been a surprise for us in recent years. Traditionally reserved for professionals, it’s fast becoming one of our busiest days in public visitors. For example, we see many grandparents bringing their grandchildren on Fridays. PP: What are the trends you’re discerning as a publisher yourself with Bayard, and how are those trends having an impact on SLM programming? GR: New publishers are coming out of the woodwork in the past 10 years. Publishers such as Quartanier and Heliotrope have put out sensational top-flight literature. And as for communication and promotion, traditional ways are still in place, but publishers now have to use Facebook and booktubers and all other tools to assist them in their marketing. As publishers, we have to focus on the text, of course, but now we also have to develop an added dimension of working with social media and these so-called influencers. That is one of our round-tables, of course, “The New Influencers.” Today we live in a world of new promotional possibilities that are evolving in real time and you either jump aboard or get left behind. The SLM is happy to present its New Influencers Series, which takes a hard look at today’s booktubers and their meteoric rise in influence over how books are discussed, debated, and digested. Stars are also promoting books that they like through social media and that are having a significant impact on book sales. 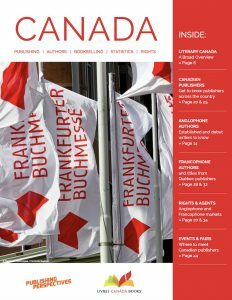 Livres Canada Books and Publishing Perspectives are proud to bring you a comprehensive magazine about the Canadian publishing community, released to coincide with this year’s Frankfurt Book Fair. Read about book publishing in French and English Canada as well as the country’s diverse literary talent. Get to know Canadian publishers and literary agents, and learn about the dynamics that shape Canada’s book publishing industry. Luca Palladino has previously written for Publishers Weekly and has worked as Associate Director for the Canada's National Reading Campaign. He also worked with the Association nationale des éditeurs de livres (ANEL, Canada's French-language publishers association), covering digital and educational publishing as well as international rights.